For years I have been using the same ol boring leopard print Ionkia flat iron. Little did I know. I was seriously missing out. I would have never imagined that certain flat irons would be better for your hair, nor did it ever cross my mind that they could make my hair more healthy looking. I mean its heat right? If I knew that I would have purchased one of these years ago. 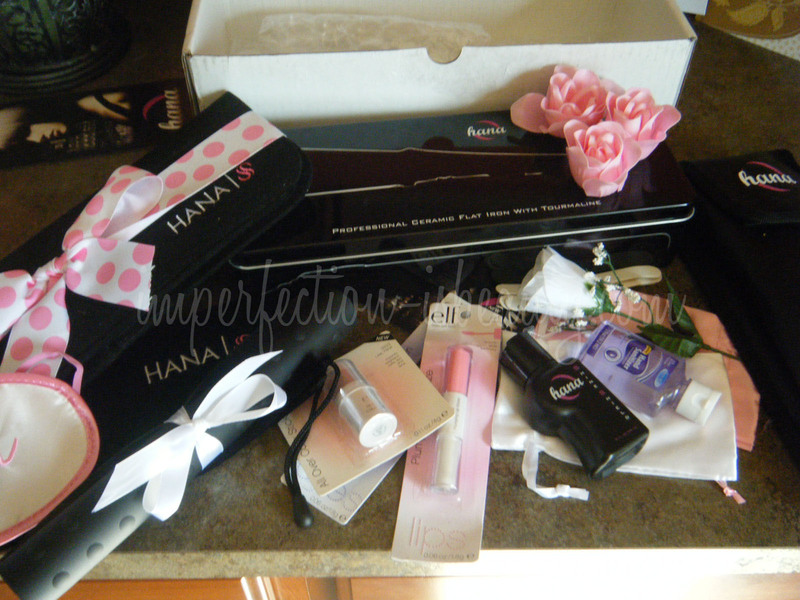 For starters I've never received so many little goodies in a package before. It really shows how generous, and loyal the Misikko brand really is. The Hana Professional Flat Iron was packed so tightly in a tin case which is great to store your flat iron in when your not using it, or simply for traveling. Also one of many other things that were included is a drawstring heat proof bag, which is also great to store, travel, or lie on considering its heat proof. Another great thing that I was so excited about is their rubberized mat. I use this mat everyday. I have it laid out on my vanity to protect it. I think this is a great idea, so that you don't have to worry about your flat iron getting so hot that it might melt where ever you may set it down while styling your hair, and also for it to cool down after your done using it. I also really like the leather material bag. This bag is really great if your not going to use it for a while, keeps it from damaging, or collecting dust. This bag would also be great for travel as well, so you have an array of bags to choose from. One of my favorite items included with the flat iron is the shine shield. This shine shield works better then any heat serum I've ever used. The serum is a light weight non greasy protectant that strengthens your hair every time you use it. This protectant not only deep moisturizes your hair, it also leaves it super silky, and shiny. I've also noticed after using this product for over a month now that my hair looks, and feels so much more healthier then before I started using this shine shield. You can purchase just the shine shield here. Now for the flat iron. I never really thought that a flat iron could be good for your hair. I mean its heat. Heat isn't ever good for your hair. Right? Although, I understand that heat will never be great for your hair. Their are many flat irons that actually are a lot better for your hair then most of us think. 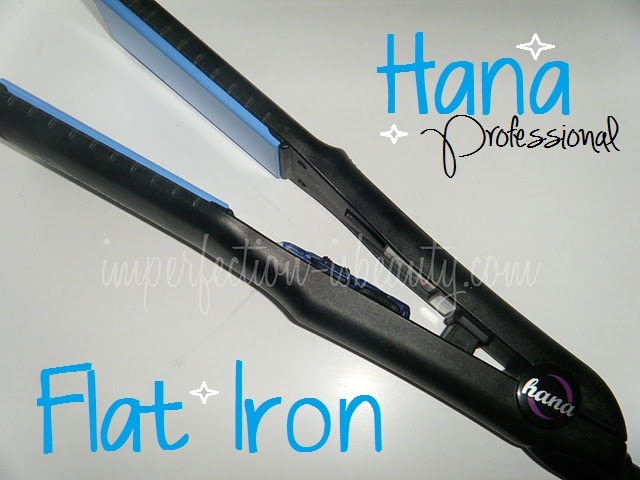 After using a less inexpensive flat iron for years, and using the Hana Flat Iron it really surprised me how great my hair started looking just after one use. Product Description: Dedicated to high ceramic content and top of the line components, Hana's pursuit of high tech styling without hype led to the Hana Professional Flat Iron - Advanced Fusion Molding delivers glass-smooth ceramic-tourmaline plates while acccelerated negative ion output repairs hair follicles, sealing in natural oils for a conditioned, sleek, salon shine that lasts all day. Overall I'm extremely pleased with the outcome of this straightener. I completely admire how great it makes my hair look, and feel. It heats up super quick, and it also has an adjustable temperature gage, and a indicator light to let you know when it has heated up to your desired temperature. I also don't find myself straightening the same piece over and over again with this flat iron therefore, theirs less heat on my hair which is very rewarding. I also do like the fact that you can use this flat iron wet, or dry which is a wonderful advantage from my other flat iron, so that if I don't really dry my hair all the way I can still straighten my hair without frying it to pieces. The only disadvantage may be is the price. You can pick up this Hana 1 1/5 inch flat iron right now for $129 which is 40% off there original price. However, included is a two year warranty so you have the reassurance that if anything happens to it they either fix, or replace it. There are a ton of different sizes, and brand of flat irons on the Misikko website if your interested in a new flat iron that is better for your hair I'll put the links below. Disclaimer: The product mentioned was sent to me for consideration. The opinions expressed in this post are all honest, and my own. Pretty cool package you got there! I need a straightener right now with this rain we are having in L.A. today! great review! i have 2 CHI flat iron collecting dust, and a KQC as well as a GHD red lust. can you tell i NEED a flat iron? lol my natural hair is no where near being straight. Dang, that's a good price. I've just been using the same Remington straightener. I love that it comes with a pouch and mat! I know ceramic is supposed to be better, but I just can't bring myself to spend that much!